Artwork is what makes the abode your own. It is an expression of those who live there. Hanging artwork can be tricky. 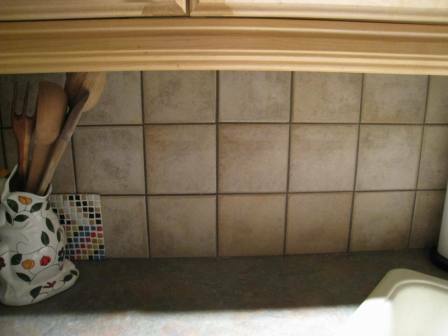 You need to make sure that it is hung level and straight and at the correct height. It is necessary to command perfection when hanging the artwork. 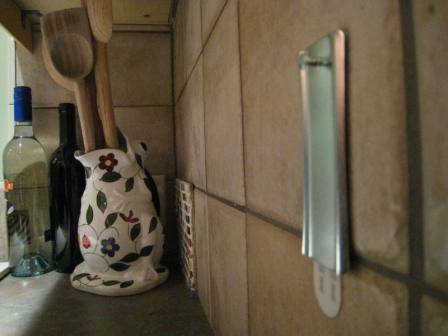 Traditional picture hooks place holes in a wall so it is necessary not to make mistakes when using these. If you live in a rental or dorm room you might not be allowed to mar a wall poking holes with traditional picture hooks. 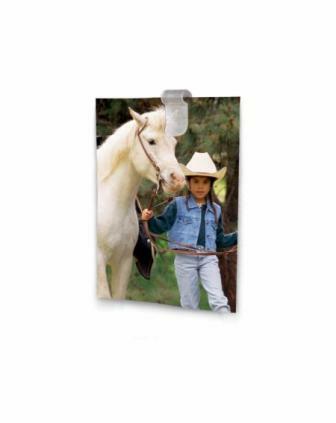 Command Brand by 3M has the perfect picture and frame hangers to hang art, hole free, on the walls. Now you can hang your artwork anywhere without worry of putting holes in the wall. Change artwork around often. 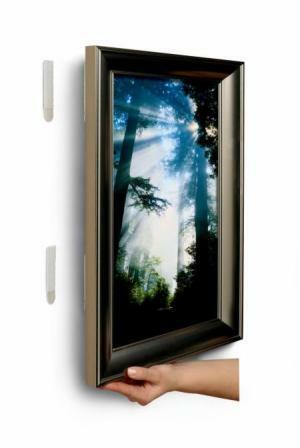 Picture Hanging Strips come in a variety of sizes to hang an array of artwork. Picture Clips and Poster Strips are perfect for hanging lightweight items. 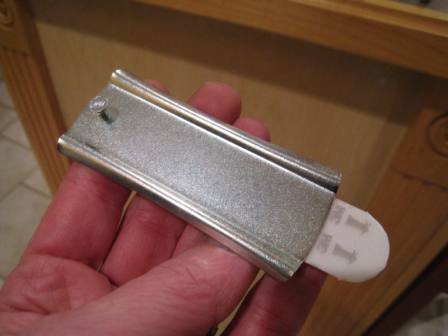 Sticky Nail Metal Hangers hold traditional frames that require more traditional types of picture hook hanging methods. Keep the artwork in place. 3M has given me the opportunity to personally test their wonderful Command products. Command is very easy to apply and remove. 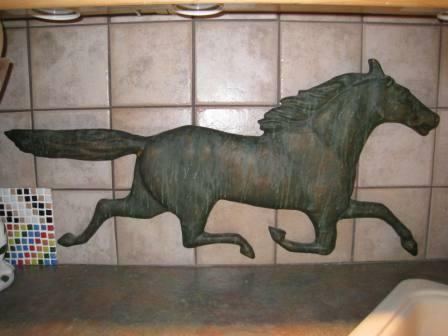 Clean the surface first with rubbing alcohol and let dry. 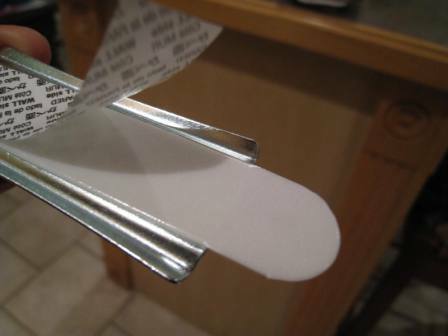 Remove blue or red label liner on tape to attach to hook so that tab in easily accessible on bottom for future removal. Then remove the black labeled liner on adhesive and attach to surface. Press firmly for 30 seconds and wait 1 hour before use. 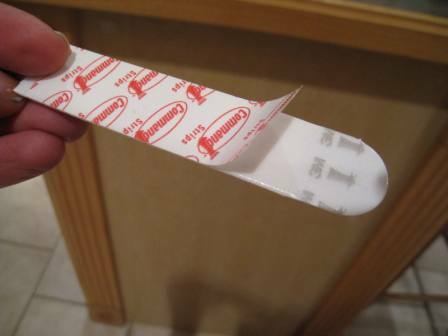 For easy removal simply hold the hook while you pull the tab straight down. Keep pulling until hook is released from the wall (Be prepared to pull the strip as much as 6 inches in order for it to liberate the hook). There is truly a Command product for any application and need. I am pleased to say that these products are a great invention and lend to creative organizing and decorating. 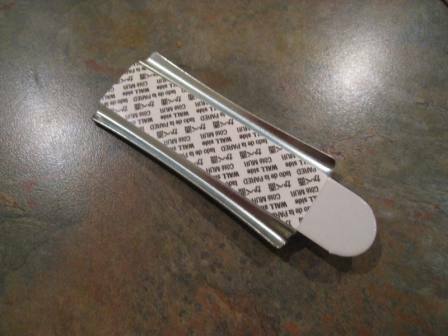 All of the products are easily removable and reusable; simply purchase refill strips. 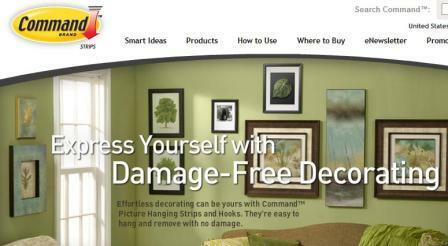 Command products are perfect for painted surfaces, tiled walls, wood etc. (Command states that this product should not be used on wall paper or vinyl covering). Have fun beautifying your abode and never be afraid to dance!